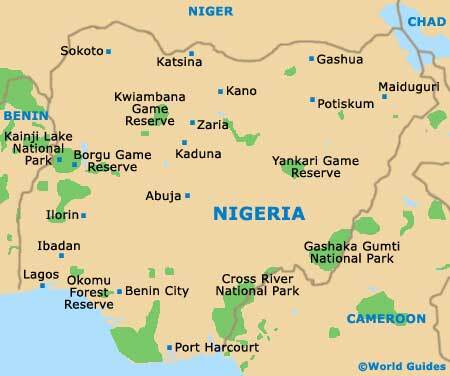 Nigeria offers a shopping experience that you will be hard pressed to find elsewhere. As well as big shopping centres, independent stores and supermarkets, there are a host of markets, street stalls and entrepreneurial sellers who ply their trade from car to car. Outside of western-style malls, supermarkets and larger stores, don't be afraid to haggle - market traders will expect it of you. Large shopping centres generally open from 10:00 to 20:00 between Monday and Saturday, and from 11:00 to 18:00 on Sundays, although the bars and restaurants situated within these shopping centres stay open much longer. Smaller shops in Nigeria open from 09:00 to 18:00, Monday to Saturday, closing on Sundays. The main cities of Lagos and Abuja now boast a number of supermarkets. In Lagos, these include Goodies, which has branches on interconnecting Victoria Island and Lagos Island. Here, you can buy general goods and clothing, as well as food. Modern shopping centres are also springing up in these cities. In particular, these include the City Mall on Lagos Island, the Palms Shopping Centre on the Lekki Peninsula, the Mega Plaza on Victoria Island, and the Ceddi Plaza in Abuja's Central Business District. The latter comprises some 50+ shops, together with cinemas, restaurants, beauty salons, banks and so on. Nigeria's largest shopping centre can be found on the outskirts of Calabar. The Tinapa Shopping Centre has just under 60 shops and four emporia. As you'd expect, prices charged in upmarket places like these are higher than elsewhere. 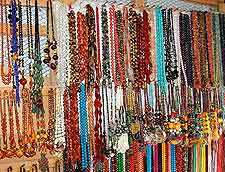 For more adventurous souvenir hunting, head to one of the craft markets at Lagos. 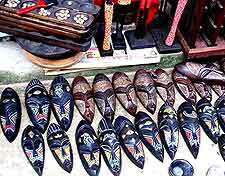 The most popular is Lekki Market, where you will be able to browse African masks, leather goods, and batik (wax painted / dyed) fabrics. 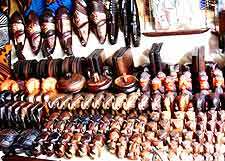 The largest market in Abuja is Wuse Market, which sells locally crafted items, cloth, beads, clothing and even electronic goods. A market is also held every Friday in front of the National Mosque and a craft village can be found close to Abuja's Sheraton Hotel. Finally, if at the end of your holiday in Nigeria you realise that you've missed someone off your gift list, then never fear - Lagos' Murtala Muhammed International Airport is home to some craft shops that should satisfy your needs, albeit at a premium price.